That is the new nickname that's been catching on throughout the city because more people are killed each year on the streets of Chicago than in Iraq. 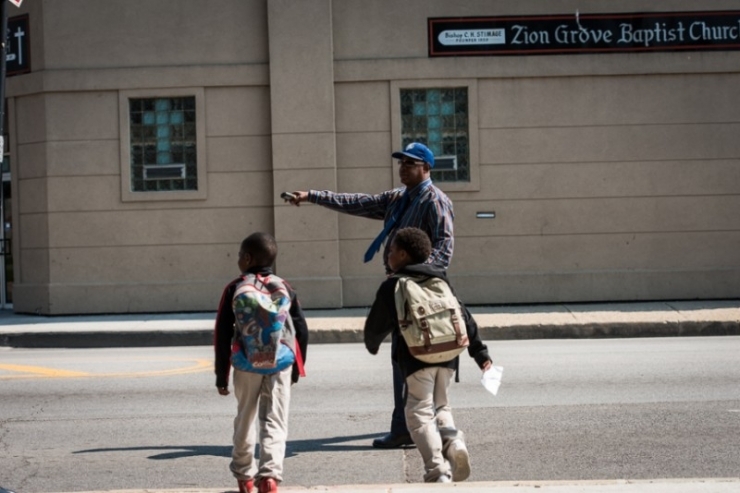 There's one spot in particular – the corner of MLK Drive and 35th Street – where the violence has been high in the past. But something is changing in Chicago. If you look at the numbers, in certain areas the violence is decreasing. What is happening? This is Hakki Gurkan. He was inspired to enlist in the Navy Reserves after the events of 9/11. He served in Iraq, Afghanistan, and Turkey. When he returned to his job as a Chicago Police Officer, he faced horrific challenges of a different kind at home. His parents were financially ruined from medical debt. His father had hip replacement surgeries. His mother was undergoing chemotherapy treatments for ovarian cancer. Hakki was financially supporting them both. There was a tenant in Hakki's apartment building that had been skipping out on rent. One day, that tenant decided to burn the building down rather than face the Sherriff coming to evict him. Hakki was displaced as he waited to recover his losses. To make things worse, Hakki's phone was ringing off the hook. A loan company was calling to collect on his student loans. Prior to enlisting in the Navy Reserves, Hakki got his Bachelors in Acoustic Arts. 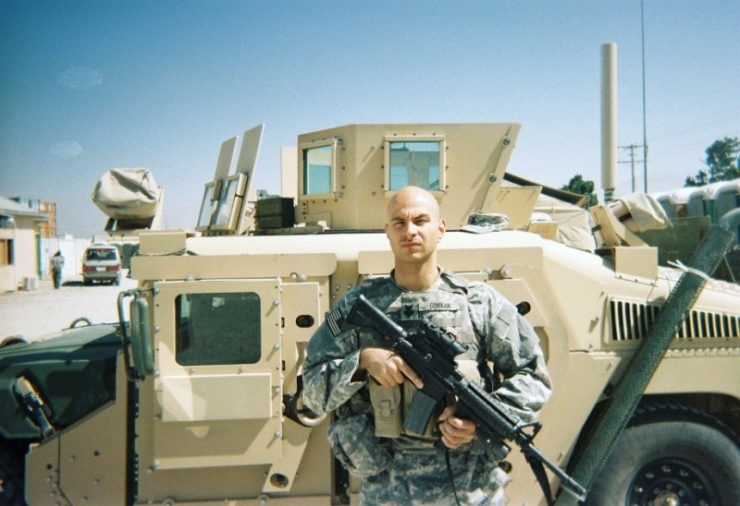 Before answering his call to serve, he had wanted to pursue music and sound engineering. "Now it's more of a hobby," Hakki tells us. There is an assumption that the G.I. Bill covers all post-secondary education for all military personnel. However, many student loan debts acquired prior to enlistment are not covered, as was the case with Hakki. Between supporting his family and losing his apartment, his financial burdens were taking their toll. He simply could not afford to make even the minimum student loan payments. And his phone kept ringing. Hakki remembered a chance encounter with a man named Eli Williamson. The two were both serving in Afghanistan, but in different units. They got to talking and discovered they were both from Chicago. Small world. Eli revealed to Hakki his plans after leaving the military. He wanted to go back to Chicago and start a non-profit that helped veterans with past student loan debts. Hakki had no way of knowing the determination of this man. He also had no way of knowing he'd be reaching out to him years later. 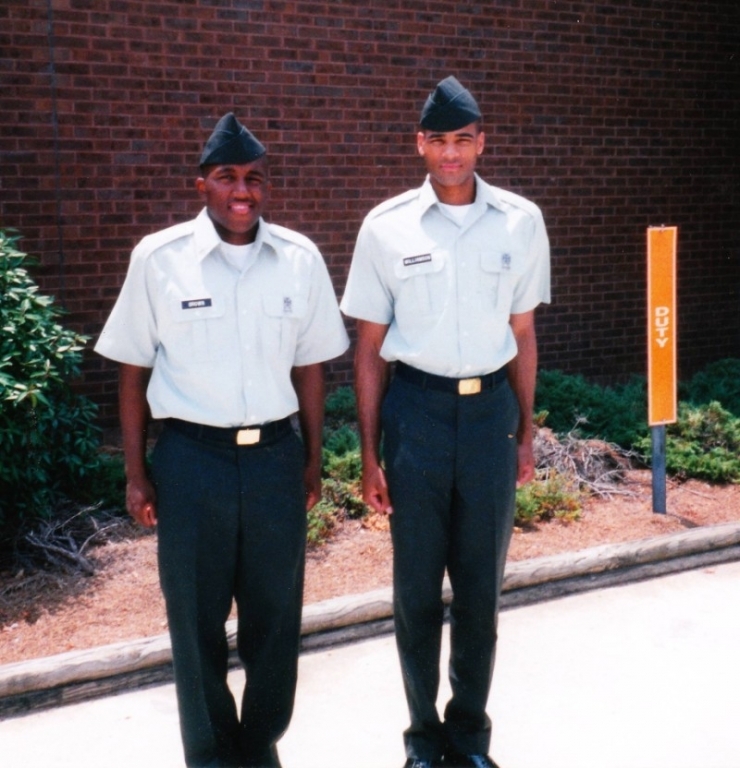 Eli Williamson (above, right) and Roy Sartin (above, left) are two army veterans who both experienced the gaps of the post-9/11 G.I. Bill. They both had outstanding student loan debt from prior to their enlistment. Roy recalls, "Here I am, dodging bullets and worrying about IEDs, and I have a loan company that is calling and steadily harassing my mother about a student loan payment." The two decided to do something about it for other veterans. 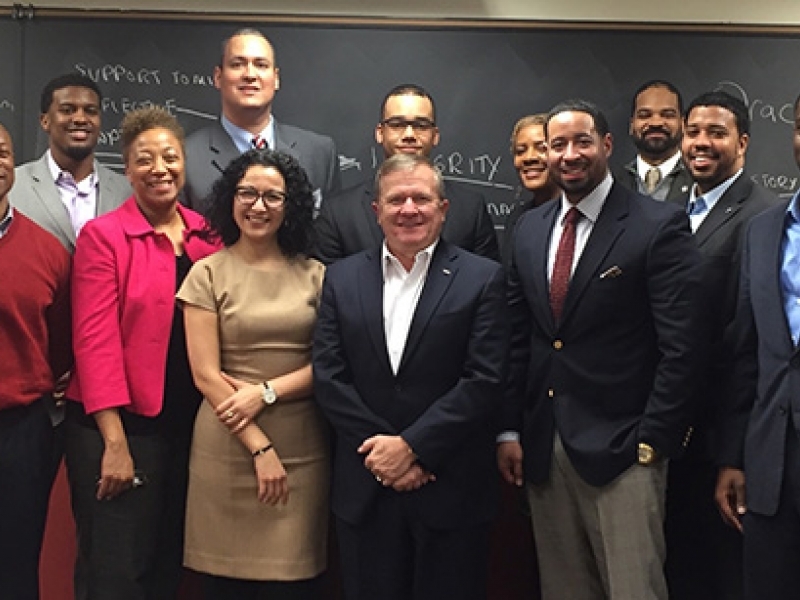 After their service, they founded Leave No Veteran Behind (LNVB) in 2009 with the mission to create a Retroactive Scholarship to pay off the student loan debts of qualifying veterans. In order to qualify for the Retroactive Scholarship, a veteran must have completed some form of higher education, suffer from economic hardship, and have student loans because they were not fully covered by existing educational programs. But the program is not a handout. In return, veterans who receive help must commit to 100-400 hours of community service. Hakki discovered that his old military buddy had returned to Chicago. Eli had indeed followed through with the ambitious non-profit they had discussed in passing. "It's not that I doubted him," Hakki explains. "But you always hear about peoples' plans. I never thought I'd be one of the people Eli would help." Hakki applied to Leave No Veteran Behind. They paid off his student loans. Hakki laughs, "It reminds me of that scene in Forrest Gump where years later Forrest and Lieutenant Dan reconnect and form a partnership." Once his loans were paid off, Hakki brainstormed with Eli and Roy about how he could pay back his community. As a Chicago Police Officer, Hakki was all too aware of the violence in Chicago, especially among the youth. He thought of the corner of MLK Drive and 35th Street. There were multiple gang affiliations at that corner. It was known for high-violence after school days, Fridays, and holidays. Kids shouldn't have to worry about being pulled into a brawl as tragically happened with Derrion Albert. Hakki suggested he could patrol that corner. Everyone agreed. Eli applied his experience to Hakki's suggestion. Eli explains, "In the military, I worked with psychological operations teams, which means taking information and changing behavior. We used positive approaches, community engagement strategies, and had no incidents." The city of Chicago noticed. They partnered with LNVB and used their proposal to create the Safe Passage Program. 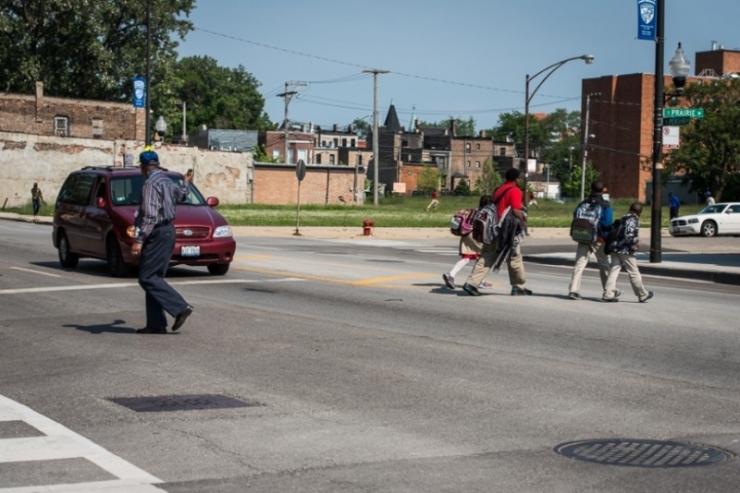 The program serves over 10,000 youth daily and ensures safe passage for Chicago Public School students. Eli couldn't be more proud. "We took on a contract with 40 veterans. We've grown to about 130 veterans." LNVB was founded on the belief that veterans are not a charity, but a strategic social investment. They have provided 10 Retroactive Scholarships and relieved over $150,000 in student loan debt. But it's their impact on the community that is most impressive. 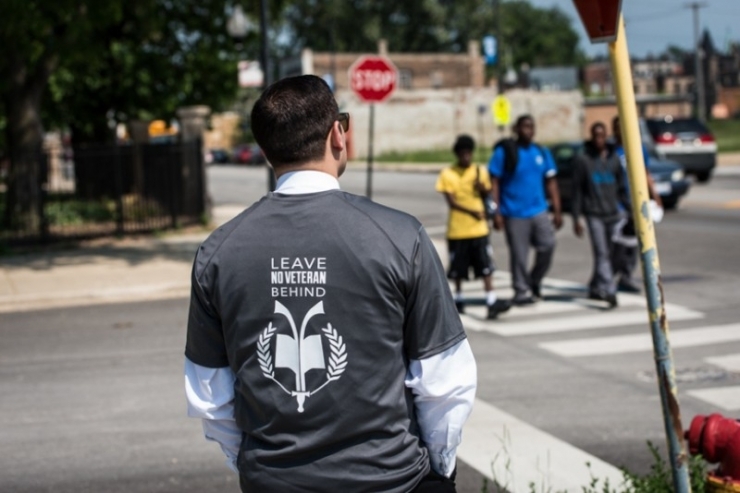 Chicago Public Schools have reported up to a 51% decrease in student disciplinary rates at the schools LNVB serves. The Chicago Police Department has reported up to a 22% decrease in criminal activity around the communities LNVB serves. Leave No Veteran Behind was founded in the midst of the economic downturn. As they continue to grow and expand programs, so do their expenses. Eli explains, "We want to be seen as a great investment. There's a feel good side to what we do, but we can be a sustainable entity over time and have a larger than life impact." The numbers don't lie. LNVB is having a substantial impact on the community. As Chicago struggles to shake it's "Chiraq" image, LNVB is on the frontlines with strategies to eliminate violence. 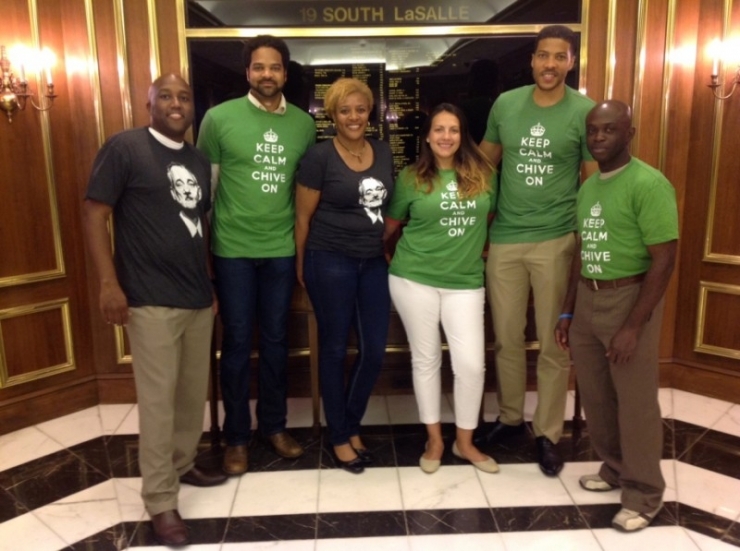 At Chive Charities, part of our mission statement is to support veterans. We share common goals with LNVB and are excited to give to their innovative program. We are proud to announce that we are donating a $50,000 grant from the Chive Fund! 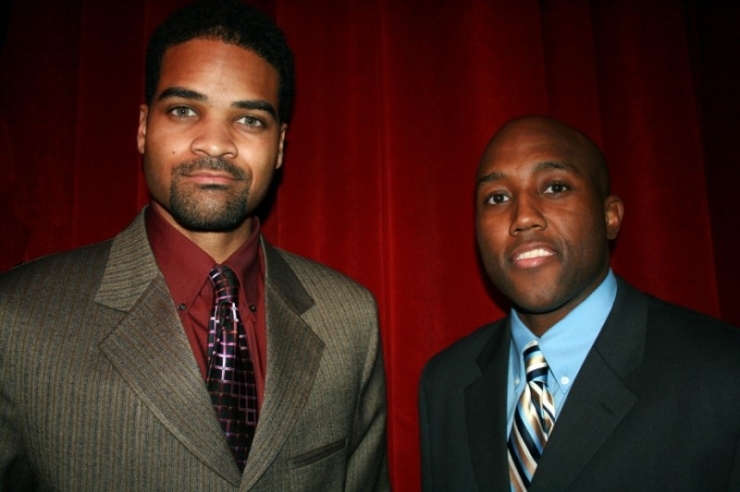 The co-founders of Leave No Veteran Behind, President Eli Williamson and Vice President Roy Sartin. 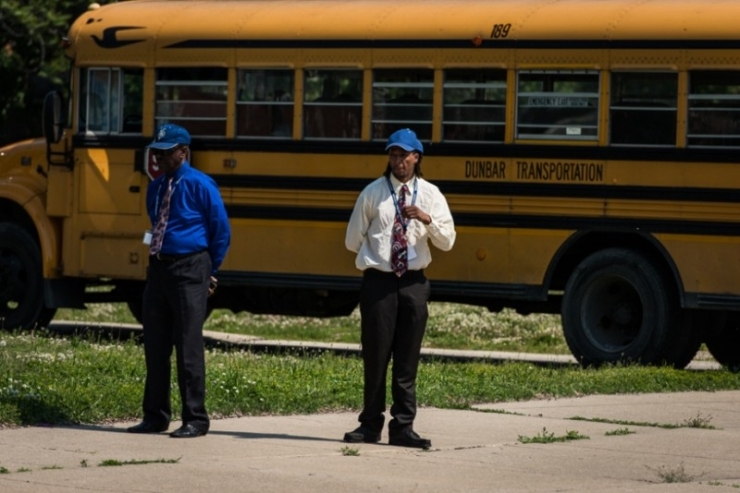 Veterans in the Safe Passage Program engage with youth and allow for safe travel to and from school. Chicago Public Schools have reported up to a 51% decrease in student disciplinary rates at the schools that LNVB is partnered with. The Chicago Police Department has reported up to a 22% decrease in criminal activity around the communities LNVB serves. 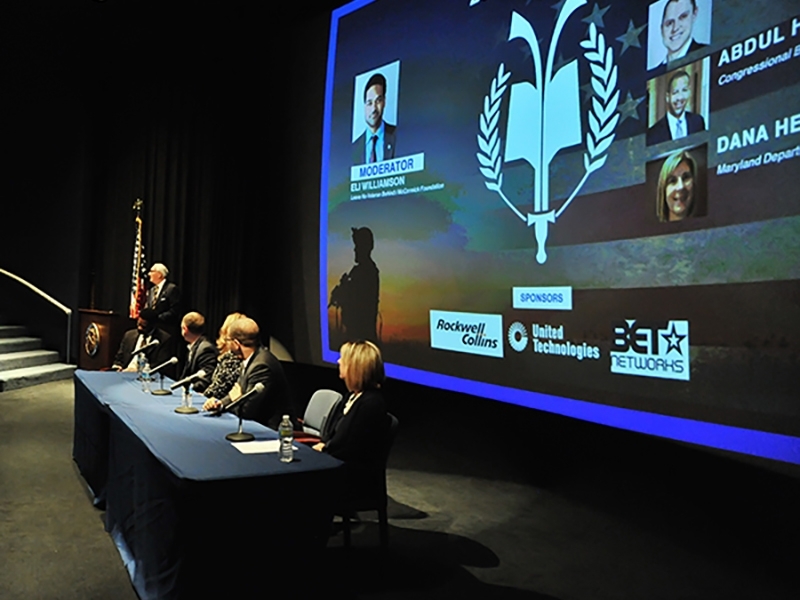 Leave No Veteran Behind has expanded their programs beyond just Retroactive Scholarships. Their Transitional Jobs program is designed to help unemployed veterans find work. "I had a job to come back to," Hakki explains. "For others, it can be a real challenge." 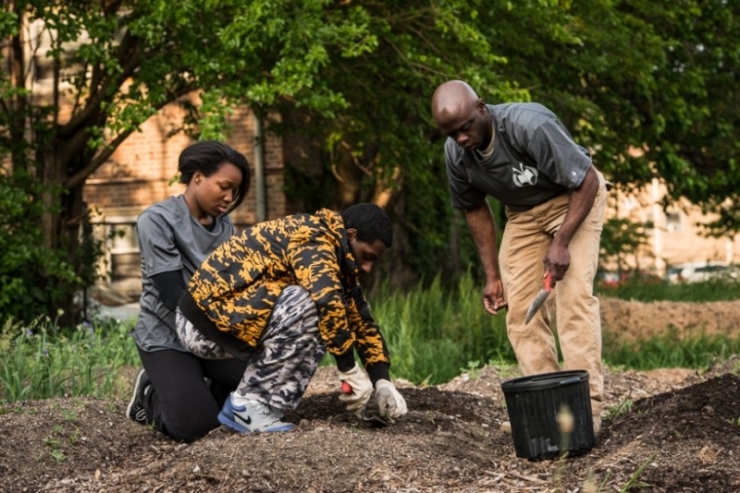 Many of these transitional jobs focus on work with underserved populations like the youth and elderly. LNVB has assisted with over 400 transitional job placements and over $1.6 million dollars in wages paid. 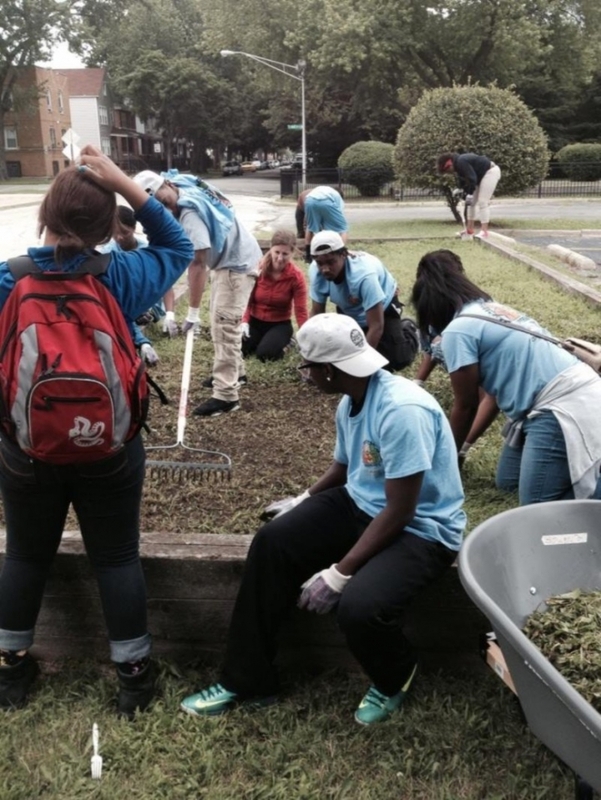 LNVB turned an abandoned lot into a vegetable garden that helps feed over 75 families a week. Hakki was humbled and grateful to have been helped by LNVB. "I just think it's a great thing. It's a two-fold front. They are helping the veterans who need help, and in turn those veterans give back to the impacted parts of the community. We don't just provide safe passage for kids. We engage them. The more I engage with the kids, I see they are seeking this. They're curious. They need positive role models." Hakki fulfilled his required community service long ago. He still volunteers. Chicago has the unfortunate reputation of being a violent city. So many promising children's lives have been tragically lost to needless violence. The veterans with LNVB are making a difference. 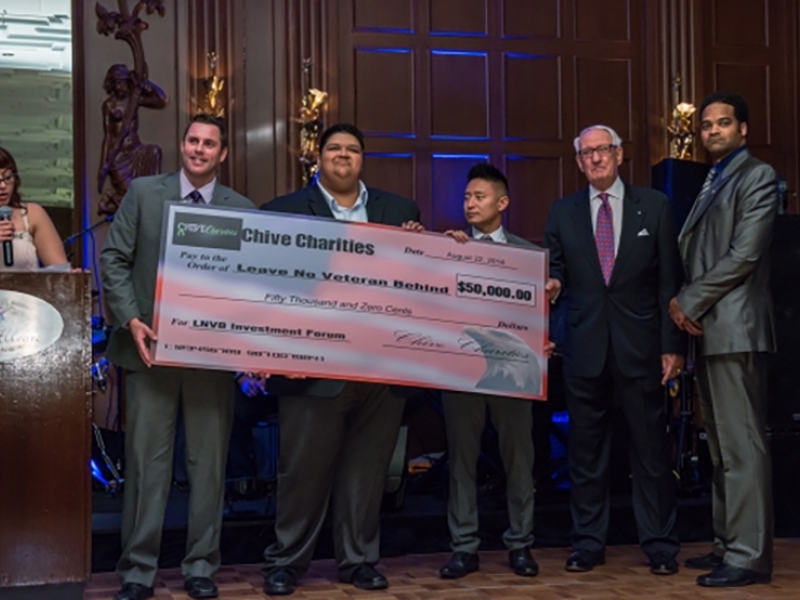 Thanks to your continued donations to the Chive Fund, LNVB now has a $50,000 donation to support their noble programs. The violence is decreasing. The youth is engaged. Chicago is healing.